Welcome to our Promotions page! Here you can find all the best deals going on right now in our store whether it be our weekly 72 hour flash sale, our current flyer, partnership discounts and other exciting store news! Make sure to sign up for our newsletter and like us on Facebook & Instagram to receive our weekly 72 HOUR FLASH SALES! Great deals await! Naturally Wood Furniture has paired up with Le Creuset at Michigan City's Lighthouse Place Premium Outlets, to offer you special coupons! 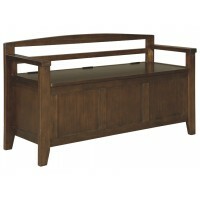 Buy ANY dining piece at Naturally Wood and receive a 15% OFF coupon at Le Creuset in Michigan City! We have also placed coupons for our store at Le Creuset,so be sure to stop in and check them out! We are kicking off the Spring season with a chance to win a $500 shopping spree! Follow the steps below to enter to win! 1. Like us on Facebook! 2. Take a picture in our chair! 3. Post to Facebook or Instagram with #naturallywoodfurniture 4. Tune in July 4th for the winner to be revealed! *Winner revealed via live random drawing on july 4th! 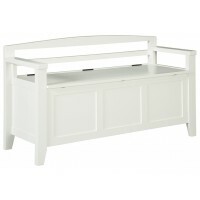 This weeks 72 HOUR FLASH SALE features the "Charvanna" -White or Brown- Storage Bench!!!! Sale is good Thursday (4/18/19) thru Sunday (4/21/19). All items must remain on the showroom floor until sale is over. You may order over the phone at (219) 872-6501 or in store. We do deliver within a 40-mile radius (delivery fees apply). All items are view-able on our website.